Download Creative Blogger Template: Creative Blogger Template is a Responsive Blogger Template that you can customize. This creative blogger template features the Theme Options given in the Layout section. 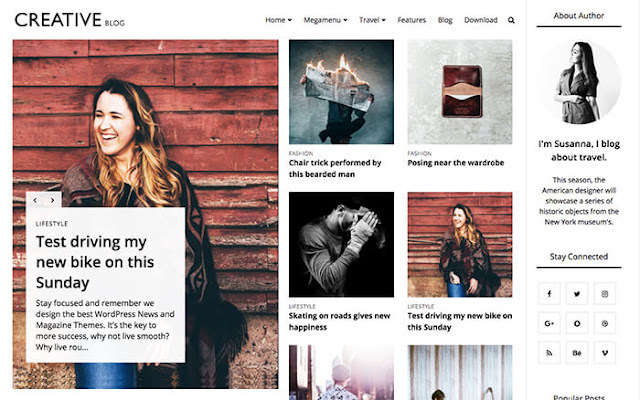 You can customize this creative blogger template from the Layout section, you don’t need to go into coding for doing most of the editing. You can change Sliders, it comes with two slider options. You can toggle many options in this theme. You can activate or deactivate the Preloader in the theme and you can do much more.